my 88 xjs, according to all the info i have gleaned off the internet started off as a coupe and was converted to a convertible. It does not have any H&E logos and only a single gas tank (not the dual tanks that H&E did). doing research on the VIN (SAJNA5846JC142815) the 6th position number (Body Style) is 5 which would indicate a 2 door coupe. I looked on the doorpost to check for modification tags, but there were none. Only the original tag that reflects manufacture date and VIN number. If anyone has any other way of checking on who converted this, it would be greatly appreciated. This has come up before...including a year or two ago either here or on jag-lovers. Besides H&E there was/were apparently some one-off or two-off type conversions done by other shops....probably commissioned by local dealers. As I recall someone picked up a partial trail leading to a shop in Santa Monica, Ca. that was connected with the local Fiat/Alfa dealer. Nothing conclusive, though. I lived in Santa Monica in the 70s-80s and it had a slew of foreign car dealers, body shops, resto-shops, etc. I wouldn't be surprised if a local shop did a couple conversions. In addition to the H&E and factory convertibles, Arden of Germany and Lynx made drop-tops, but I don't think many of these made it to the US. You can usually spot them by the custom ground effects. For pics of the Lynx Spider click here. It's probably a dealer conversion like Doug mentioned. Could be a Hess & Eisenhardt, Cincinnati, Ohio, who were given an 18 month contract to build convertible cars from 1986-88 by Jaguar Cars Inc out of standard XJS V12 coupes until Jaguar had developed their own convertible. Steve, I have read that an H&E conversion will have the conversion tag either on the door post or on the trunk lid. If you haven't already checked there, it may be a lead. Also, been curious about the "facelift" and pre-facelift. Could you expound on what that means? I'm owner of XJS 5.3 - V12 H.E. - 1983. 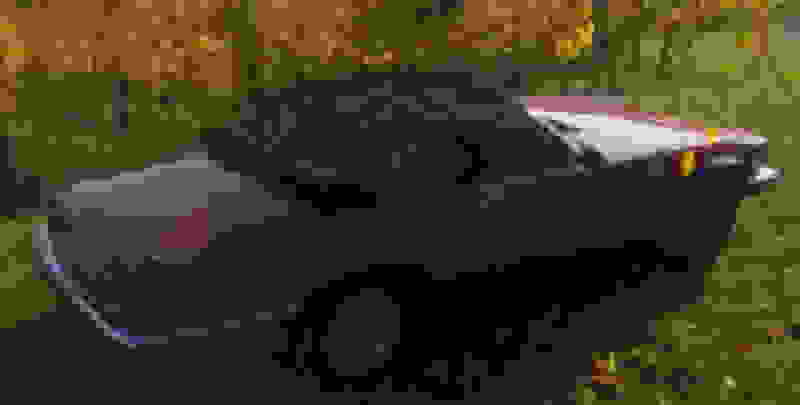 Car is imported from UK as 4 seater cabriolet RHD. Previous owner don't have any papers of conversion. Almost sure is not Lynx or H&E conversion. No stamps or sign on the car... what is this? 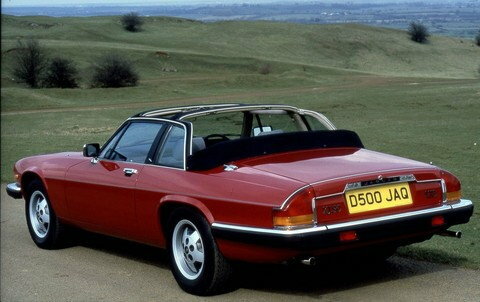 It is a factory built XJS Cabriolet, which was a stopgap measure to produce an open topped car when Jaguar did not have the resources to do a full convertible. Quite a few were made inn 6 and 12 cylinder versions. The roof structure braces the body well so it does not lose rigidity compared with the coupe. Mechanically identical to the pre facelift coupes. Hmm, I'm not sure... In all papers car is identificated as XJS H.E. AUT , body type SPORTS (nowhere cabriolet). Also VIN is SAJNAEW3BC112222 (coupe) ???? I think you are not mistaken. It looks very like a factory produced cabriolet, but not quite identical. Last edited by Greg in France; 03-01-2017 at 04:47 AM. it does too! Also the line of the roof brace at the B pillar looks not exactly the same. it seems the GiF guarantee may be worthless! It does seem to have some differences from the factory car.